Clean lines make a statement of taste and style. 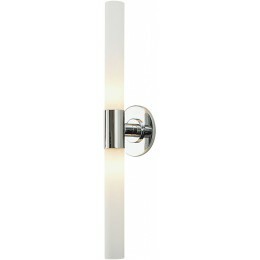 The opal white glass of the Long Cylinder is a perfect accompaniment to the chrome or satin nickel finishes. For indoor use only.